Finnish oil refiner Neste Oil Corp on Tuesday unveiled a new biodiesel plant in Singapore, calling it the world’s largest facility for the production of renewable diesel. With an annual capacity of 800,000 metric tons, the 767-million-US-dollar plant would use feedstocks such as palm oil from neighbouring Malaysia and Indonesia to produce clean diesel marketed mainly in Europe and North America, the company said. It said biodiesel could reduce greenhouse gas emissions by more than 50 per cent over the product’s entire life cycle when compared to fossil diesel, it said. 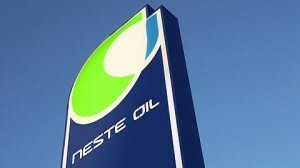 Neste Oil said its renewable diesel was ‘produced from fully sustainable and traceable biofeedstocks.’ It said the Singapore plant obtained a certificate from Germany, guaranteeing it has met strict environmental criteria. The palm oil industry in Malaysia and Indonesia has come under fire from environmentalists who say it destroys rain forests and threatens endangered species such as orangutans.